If you want to get yourself a degree in the art of making videogames, there are more places than ever for you to go and learn. They're not all bunched up in one place either, with the ESA reporting that 42 states and the District of Columbia have at least one school offering a game degree. California tops the list - which makes sense, considering all the developers based in the state - followed by New York and Texas. 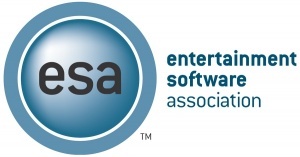 Rich Taylor, SVP for communications and industry affairs at the ESA, says that the increase highlights the expanding role of videogames in modern culture. He said that the positive influence and value of games was being recognized in all areas of society, and schools were training their students to meet the demand. According to ESA research, 70% of employers use interactive software or games to some degree when training staff, and three quarters of that group have plans to increase their usage over the next five years. You shouldn't despair if you don't have a specific videogame degree though, as they're still a pretty new idea and not the only way into the industry. Having a more general degree and modding experience can be just as useful as a more specialized education.